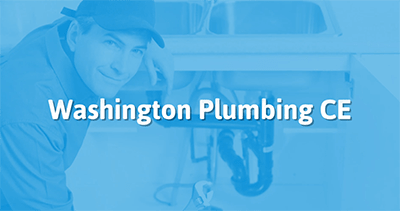 Our plumbing continuing education courses are approved by the Washington State Department of Labor and Industry (DLI). They are exactly what you need to meet your Plumbing CE requirements, At Your Pace Online. Once you complete your course we will report the completion of your continuing education to the state for you! Plumber Trainees must complete 8 of the required 16 hours every year. This 16 hour complete CE package is approved by the Washington Department of Labor & Industries. It will meet the 8 required hours of plumbing code, 4 required hours of industry related electrical, and the additional 4 hours of either code or industry related. This 8 hour class covers significant changes to the 2015 Uniform Plumbing Code (with Washington Amendments). It reviews every significant change to the 17 chapters of the 2015 UPC. This 4 hour course reviews two chapters of the 2014 NEC with special consideration for Plumbers. The course covers the critical changes to Chapters 2 & 3 of the National Electrical Code. This course is approved to meet the 4 hours of Industry Related Electrical continuing education. This 2 hour course is approved by the WA Department of Labor and Industries. 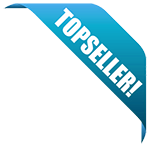 This course is approved as Industry Related credits. This course will overview the subject of rainwater harvesting. You will learn why rainwater harvesting is needed, specific water needs in Washington, and the components of a rainwater harvesting system. This 2 hour course is approved by the WA Department of Labor and Industries. This course is an overview on the subject of Plumber safety. If your qualifying credentials are invalidated (e.g., suspension or revocation by the issuing entity) for any reason, approval will be revoked. When your approval expires, you must submit a new application to renew your instructor status. It is your responsibility to be aware of the expiration date; the department does not send reminder notices. The new course has been approved: Please use this information when offering the course. If you wish to renew this course you will be responsible for submitting the renewal prior to the expiration date. If this course is classified as Industry Related Electrical or Plumbing Code Update, you must submit a new application to begin using a new edition of the currently adopted Washington State Electrical Code or Washington State Plumbing Code.